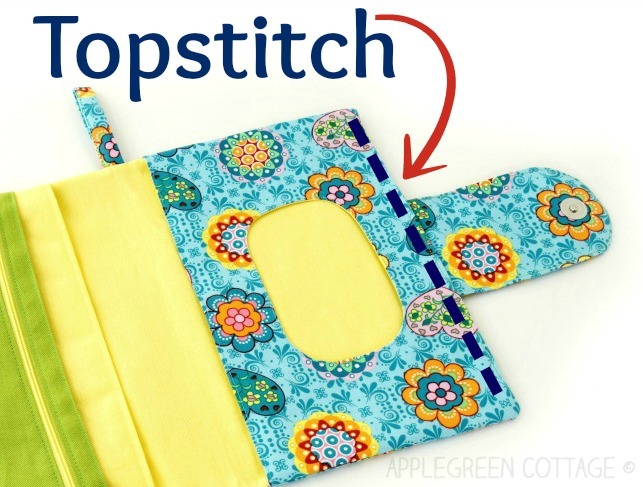 Make a perfect diy gift for baby using this diaper clutch pattern. It's the perfect handmade gift every new mom would love to have and makes an excellent baby shower present. And it's totally adjustable: one pattern, many different options. Check it out! I love this beauty so much! 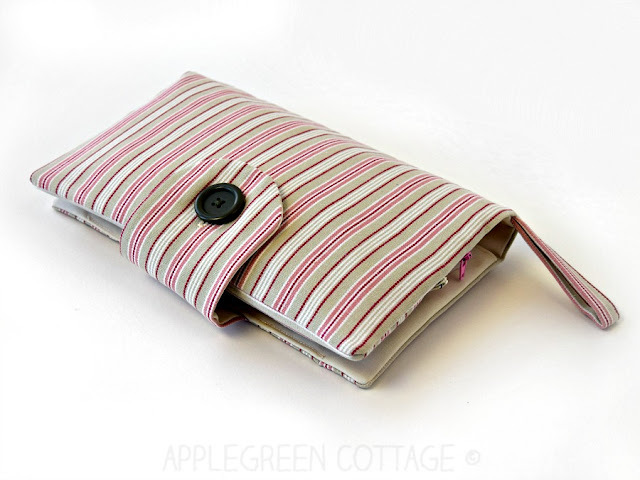 It's sooo stylish - yet convenient! 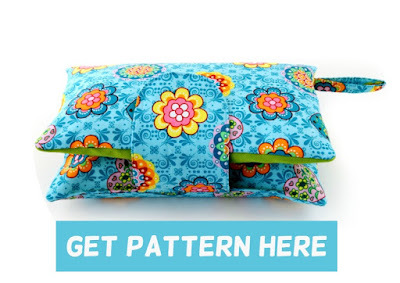 This diaper clutch pattern (or do you call it nappy wallet?) is a great solution for moms with babies on the go. It is all you need for a short trip to the grocery store or quick errands in the neighborhood. 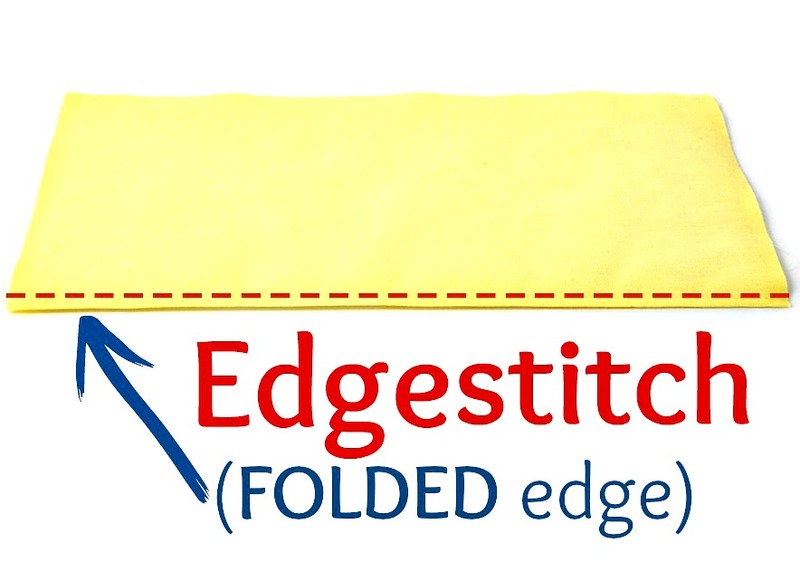 Super-handy for a quick diaper change! 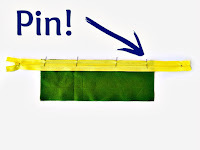 - how to add fusible interfacing. I just love this little detail! 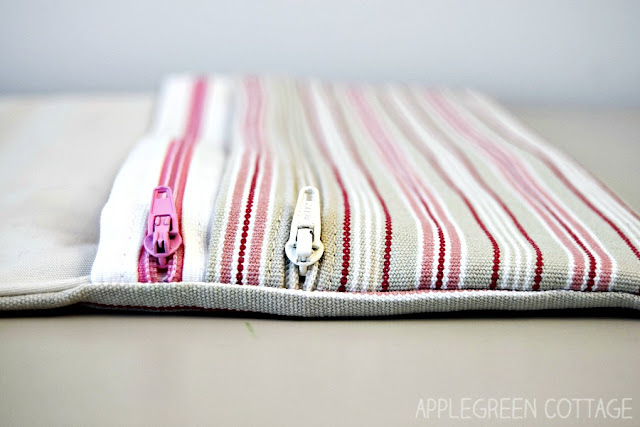 Oh, and before I forget, you need to know the finished size of this diaper clutch, don't you? when packed full and closed, it's approximately 6" wide, 10" tall, 3" deep (4" max depth). A generous size for all the diapering essentials. Regular pack of wet wipes - WHY? 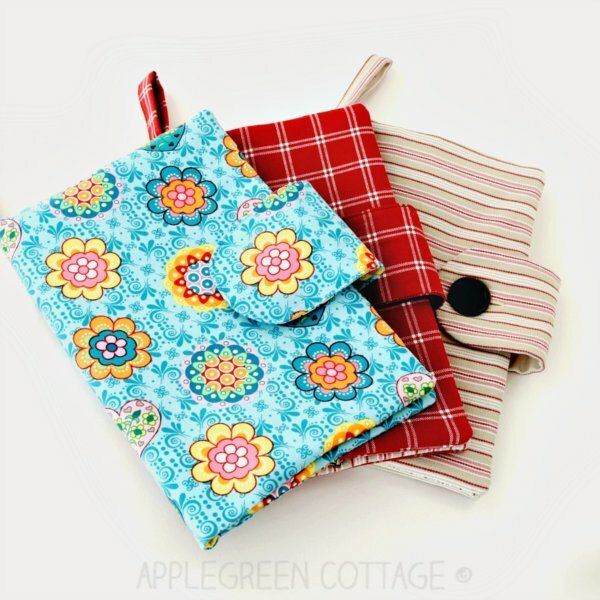 And in situations when you really need to keep the diaper clutch slim, you can off course use a travel pack - and it won't fall out! Because there are hidden Velcro straps keeping it in place. How great is that? This diaper clutch makes the perfect handmade gift every new mom would love to have. An excellent baby shower present! So if you want to make something that would be used a lot, and something every mom would remember you by, try this one. 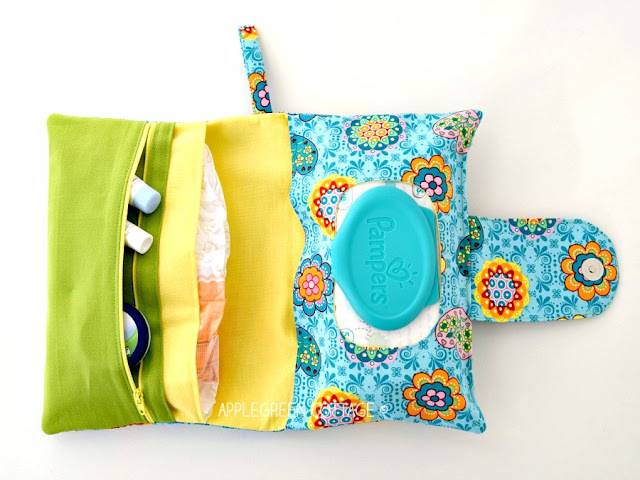 This is when a travel pack of wet wipes is used - the diaper clutch is quite slim, isn't it? Totally adjustable. One pattern, many different options! 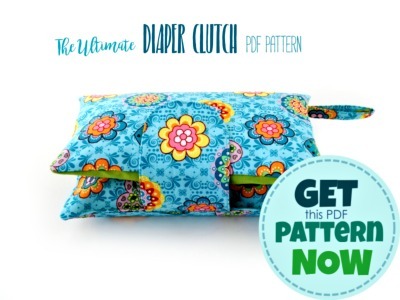 Tailor the diaper clutch exactly to your likes and needs. You can opt for one zipper pocket, two, or none. 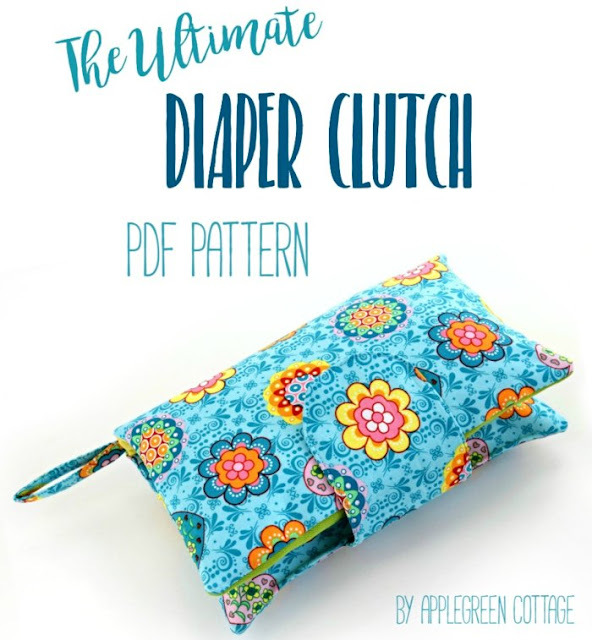 If you like this diaper clutch pattern and think you know someone who could use it, feel free to check out this link to the pattern. 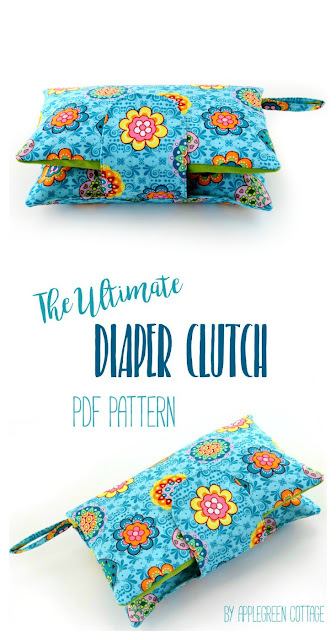 More about the diaper clutch pattern HERE. 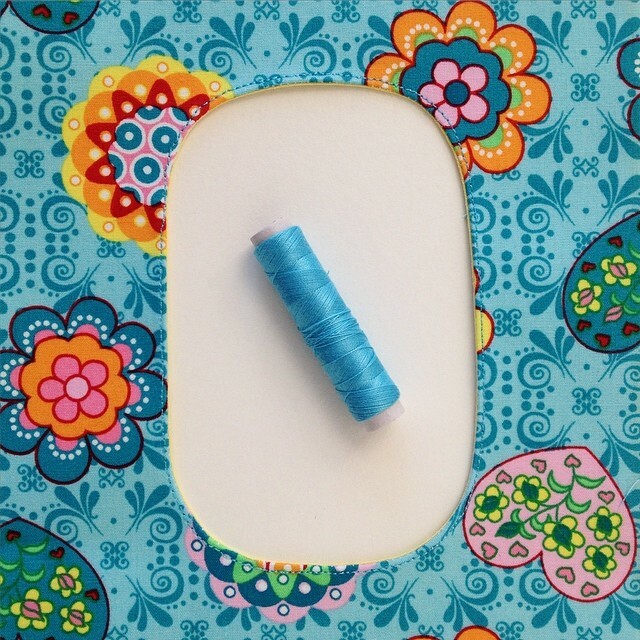 Have fun creating new things, and post a photo or two when you sew something out of my patterns!